Designed for homeowners with more work to do than time to get it done; homeowners who appreciate the century of innovation and durability established by time-tested Toro products. Toro’s new family of cordless 40V PowerPlex™ Lithium+Ion garden tools give you more power and save you more time with an interchangeable T90 battery CHARGES IN JUST 60 MINUTES. Featuring a 3 YEAR FULL WARRANTY, Toro’s PowerPlex products are backed by one of the best garden tool warranties in the industry, keeping you running season after season. 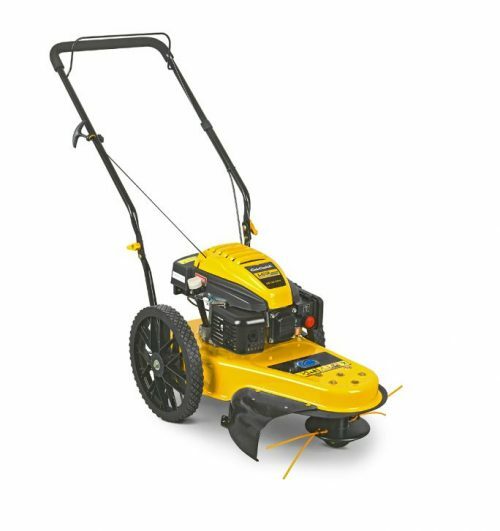 This 450W Twin Line Trimmer is the ideal tool for trimming and edging lawns, with a 25cm cutting width and a working head that rotates through 90° for trimming and edging. The trimmer has a low vibration output to offer smooth and comfortable handling, whilst also providing an extremely quiet operation. This trimmer has two line spools, both 5m x 1.6mm, and a telescopic handle with a second adjustable hand grip, allowing greater comfort and flexibility when working. In addition, this model comes complete with rear wheels which provide greater control and stability when trimming edges. 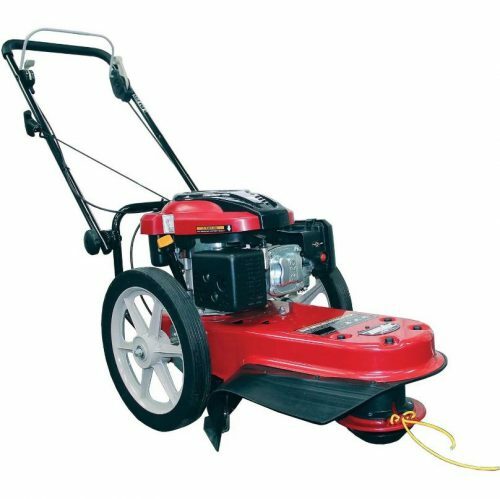 This 500W Twin Line Trimmer is the ideal tool for trimming and edging lawns, with a 27cm cutting width and a working head that rotates through 90° for trimming and edging. 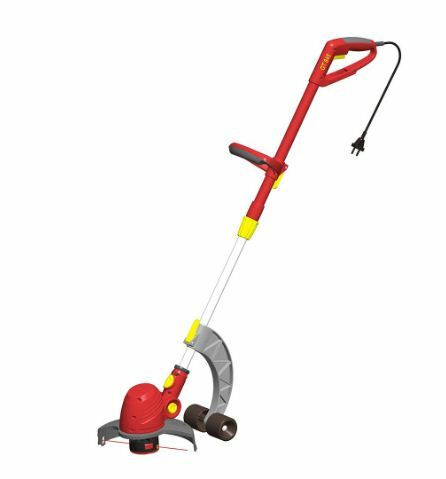 The trimmer has a low vibration output to offer smooth and comfortable handling, whilst also providing an extremely quiet operation. This trimmer has two line spools, both 5m x 1.6mm, and a telescopic handle with a second adjustable hand grip, allowing greater comfort and flexibility when working. In addition, this model comes complete with adjustable rear wheels which provide greater control and stability when trimming edges. 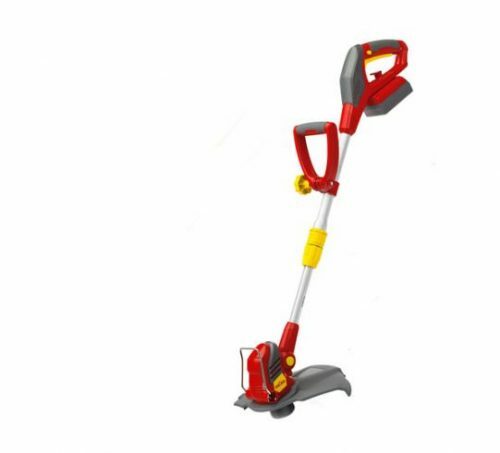 This Lithium-ion Power Trimmer enables you to trim areas of grass with ease. It has an automatic lie feed and integrated ‘trim and edge’ function. The telescopic handle provides quick, easy adjustment to find the perfect working height. It also has a soft grip for greater comfort and control when cutting. This tool is lightweight, cable-free and comes with an exchangeable Li-ion battery pack which has been designed to be user and environmentally friendly, safe and economical. 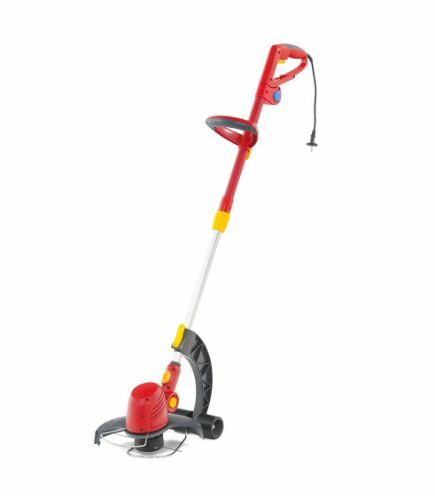 This power trimmer can be fully charged within 1.2 hours and provides 15 minutes of running time. 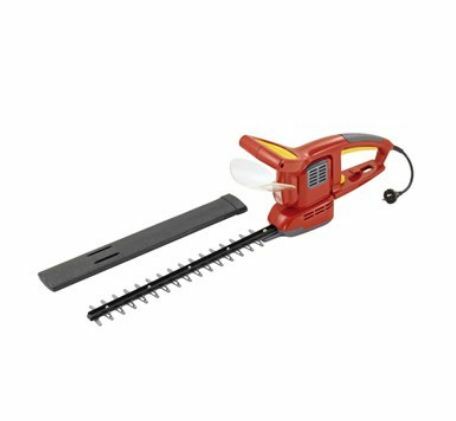 This Lithium-ion Hedge Cutter features diamond-ground, counter rotating blades which operate at 1250 strokes per minute. 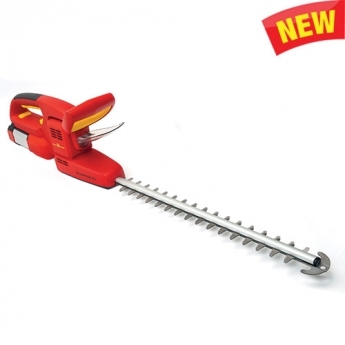 This enables you to cut branches up to 12mm thick with ease and precision. At just 2kg, it is easy to operate and reduces fatigue when working. This tool is cable-free and comes with an exchangeable Li-ion battery pack which has been designed to be user and environmentally friendly, safe and economical. 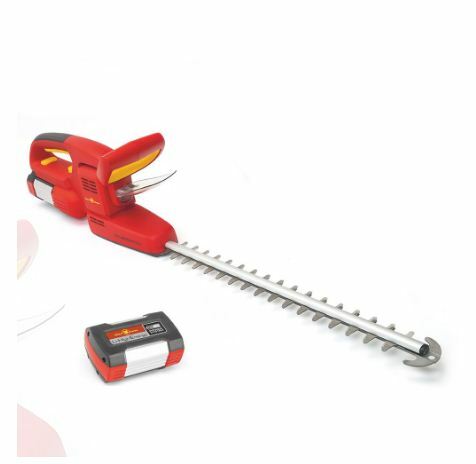 This hedge cutter can be fully charged within 1.2 hours and provides 40 minutes of running time. 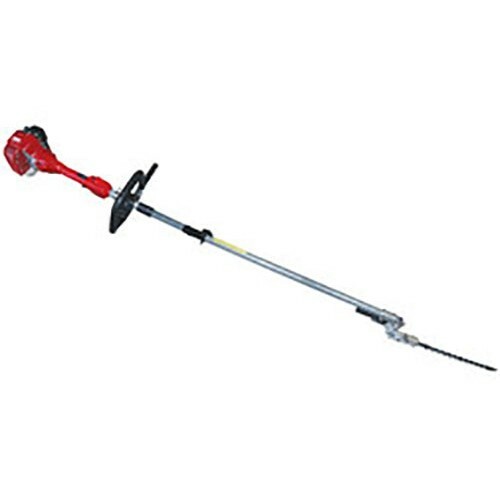 This Rotating Blade Electric Hedge Trimmer provides a professional trimming finish for medium to large hedges with thick branches. The 180° rotating blade head has 5 lockable working positions, allowing access to all different angles and makes tackling even awkward hedges easy. This trimmer has a 230V / 500W engine. There is also a 2 hand safety switch and a 0.02 second quick blade stop, along with an integrated anti-block system. This is for the body only - See the list below to select the required battery and charger. You will need 1 - BLi10 Battery and 1 -QC80 Charger if you do not already own other Husqvarna battery equipment. 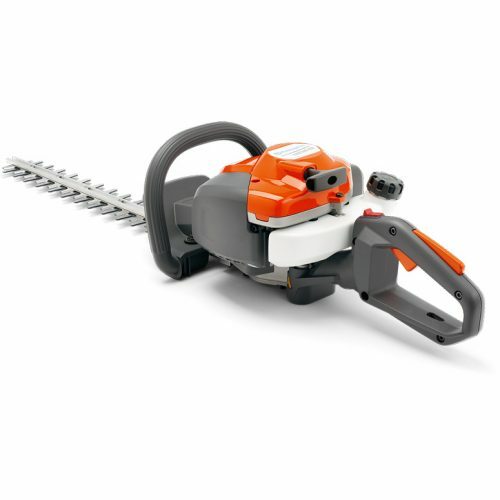 The Husqvarna 115iHD45 Hedge trimmer is easy to use, easy to handle – and quiet enough for seasonal use in residential areas. Comfortable and durable, it offers powerful performance with no direct emissions. Safe, convenient starting via the intuitive keypad, efficient brushless motor with savE™ function for extra runtime and long-lasting Li-ion battery make it a great choice for homeowners. 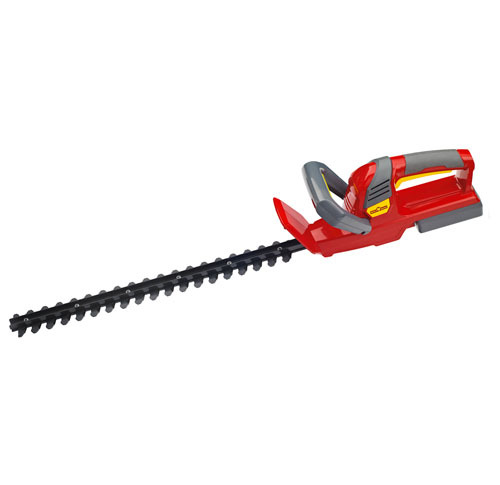 It’s easy to achieve the perfect cut using new petrol-powered MTD GHT4528 hedge cutter. 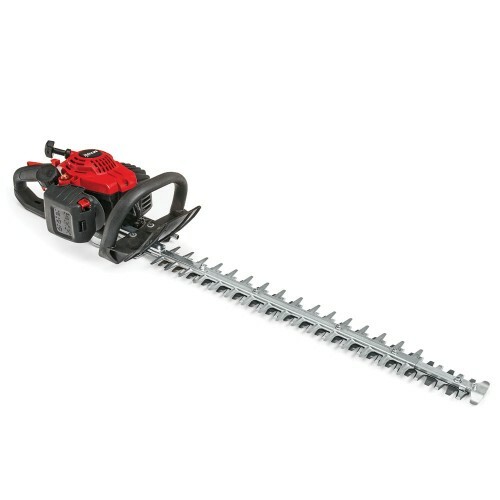 The light weight of just 4.5kg and 45cm (18″) cutting width will save power and be easy on the joints while working in all hedge trimming situations. The rear handle twists to so you can cut the hedge at different angles. 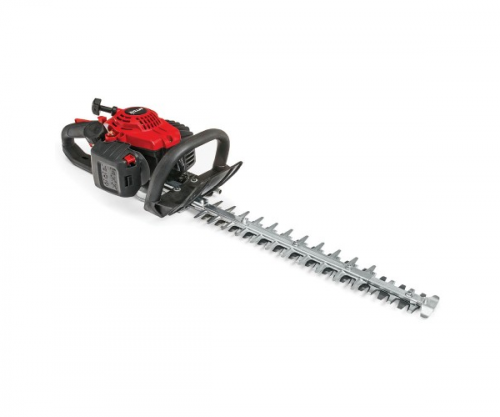 The MTD 22cc two-stroke engine provides the power to cut medium-sized hedges effectively. A quick-stop function stops the blade in less than 1.8 seconds to ensure maximum safety at all times. The dual reciprocating double-sided blades have a large 28mm tooth spacing and are laser-cut and diamond-ground to ensure an cleaner cut. 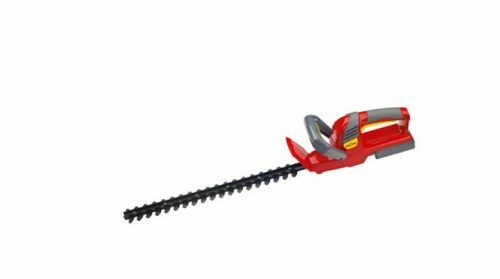 Ergonomically-designed and with an ideally-balanced centre of gravity, the MTD GHT4528 petrol hedge trimmer with pivotable handle is comfortable to use for prolonged periods and offers superb value for money. Designed for homeowners with more work to do than time to get it done; homeowners who appreciate the century of innovation and durability established by time-tested Toro products. Toro’s new family of cordless 40V PowerPlex™ Lithium+Ion yard tools give you more power and save you more time with an interchangeable T90 battery that CHARGES IN JUST 60 MINUTES. 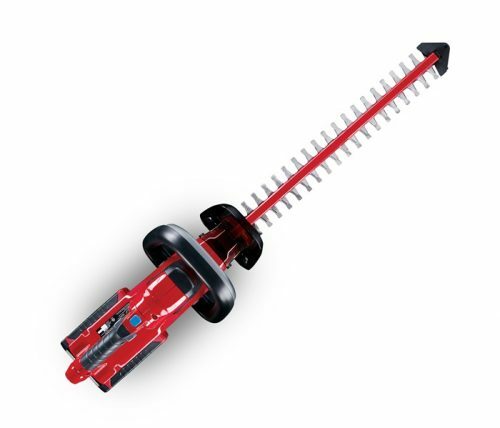 Featuring a 3 YEAR FULL WARRANTY, Toro’s PowerPlex products are backed by one of the best garden tool warranties in the industry, keeping you running season after season. 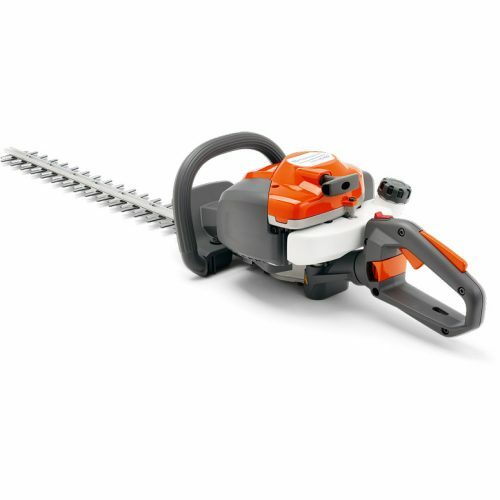 The Husqvarna 122HD45 is a low noise and lightweight hedge trimmer for domestic use with easy to use functions, including Smart Start technology so your hedge trimmer is ready to go when you are. 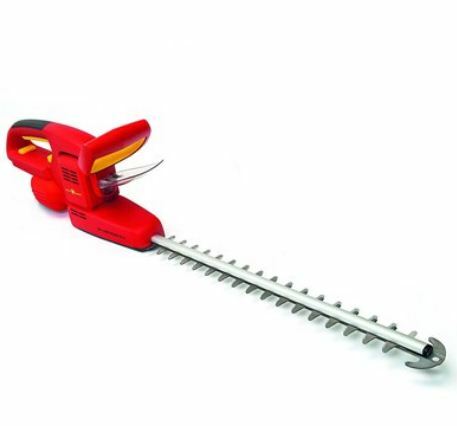 The ideal small hedge trimmer for homeowners with gardens of all sizes. The Husqvarna 122HD60 is a compact and lightweight petrol hedge trimmer for domestic use, with easy to use functions such as Smart Start, and the benefit of a low noise engine. With an adjustable rear handle this small hedge trimmer with 59cm blade makes easy work of cutting sides and tops of hedges. This 72V Li-ION Power 55H Hedge Cutter enables you to cut hedges quickly and easily, without the need for cables. The battery provided in this set provides a running time of over 60 minutes, whilst the ergonomically designed handle with soft grip inserts provides safe and comfortable operation for hours of fatigue free use. The swivelling handle mechanism can be set to five angles: -90° / -45° / 0° / 45° / 95° meaning your hands are always in the optimum cutting position, and the transparent hand guard gives you a clear, safe view when cutting. There is an impact guard for safe, precise cutting and the integrated suspension eye provides easy storage. 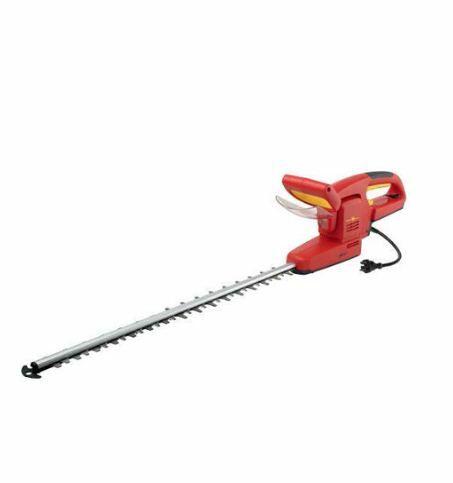 Lightweight, quiet and battery-powered hedge trimmer for commercial use with 60cm long double-sided cutter bar. New proprietary motor and new powerful battery will allow you to maximise your working time. The pivoting rear handle makes it easier when cutting both vertically and horizontally. Kit consisting of 115iL trimmer and 115iHD45 hedge trimmer. 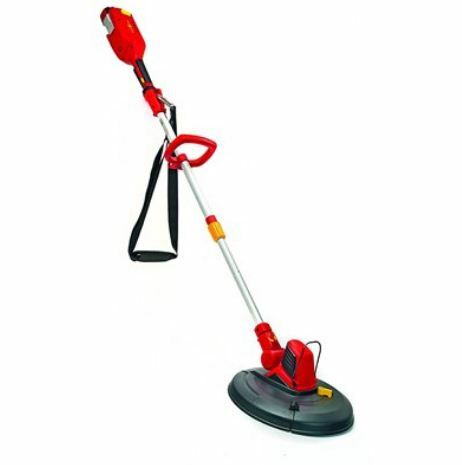 A lightweight, comfortable and easy to use battery trimmer for trimming lawn edges or small areas of higher grass. 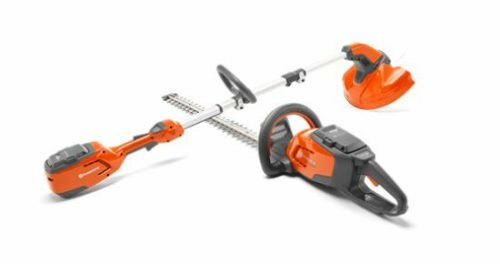 The battery 115iHD45 hedge trimmer is lightweight, easy to use and handle – and quiet enough for seasonal use in residential areas. When the mowing gets rough, you need a machine to meet the tough demands of rough grass where unknown debris may be lurking. The Tondu HWTL wheeled trimmer with its dual line cutting system, large wheels, adjustable handle system, will wade through the rough areas. The large 14" wheels make this machine highly manoeuvrable, even on rough, undulating and overgrown, neglected areas. 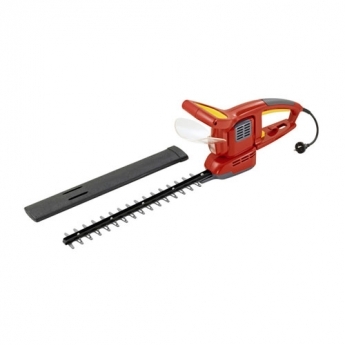 Ideal for home users needing to cut long grassy areas. 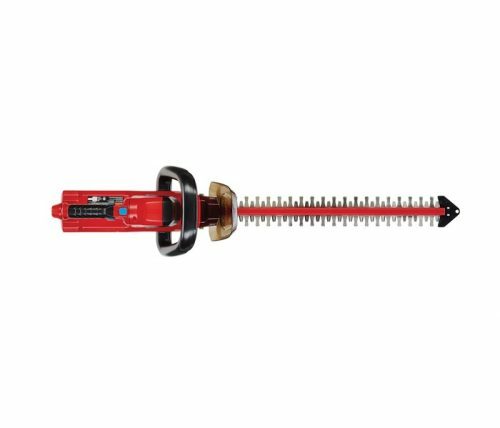 The trimmer head is pre-loaded with 4mm starline and pre-cut lengths of the trimmer line are supplied.